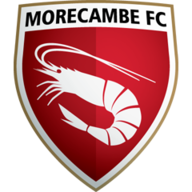 Highlights of Grimsby's 2-0 win over Morecambe in the Sky Bet League Two. 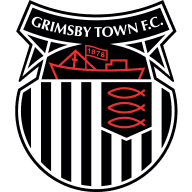 There was a celebratory return to the EFL for Grimsby as they defeated Morecambe 2-0 at Blundell Park. Cheered on by over 6,000 fans, the Mariners went ahead through Kayden Jackson on seven minutes. And midway through the second half, former Portsmouth man Ben Davies made it two with a stunning free-kick. Josh Gowling saw red for the hosts, for a professional foul, but it mattered little in the end as Grimsby held on. It was a frantic start from both sides, but Jackson helped settle home nerves with a calm finish on seven minutes. And just seconds later, the Mariners could have doubled their lead. Tom Bolarinwa and Scott Vernon combined as the latter prodded over Barry Roche - only to see Alex Whitmore produce a stunning clearance. James Berrett also fired over as Town marked their return to the fourth tier with a dominant performance against the Shrimps. After the break, Berrett went close before Davies settled the scores with a curling, right-footed set piece from 25 yards.